A new writer for The iLife! Today is actually my first day as a writer for The iLife, so I thought I should start things off right by just giving you a little info on myself. Before I made it here, I worked for two other blogs (Techbugtv & Engage Games Network). I must say that it has been a bit challenging moving around from blog to blog, however I have learned valuable information every step on the way. I look forward to sharing my opinions on Apple, and trying to get good content out to everyone!! 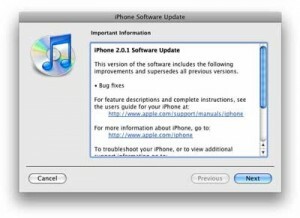 Here are some notes from the 2.0.1 firmware update installation. Downloading the firmware took about 7 minutes on a 20/5 Mbit/s connection. Fairly slow for Apple’s servers, probably due to heavy traffic. My iPhone update took about 20 minutes. Note that I recently synced and backed up my iPhone with my computer about one hour prior to the installation. 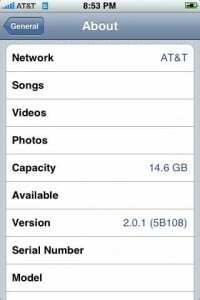 This update WILL disturb a previously jailbroken 2.0 device, but will not brick it or fail to install the update on a device that was PWNED using the latest PWNAGE tool. Things seem to be snappier. No Apple application crashes yet, no sign of sluggish performance. Now trying third party applications. Installing an update on the device from the App Store still relocates applications to the back as if they were never installed. After over 12 hours of extensive use, we have found 2.0.1 is a great improvement to the buggy 2.0 firmware. However, there are still some outstanding issues. 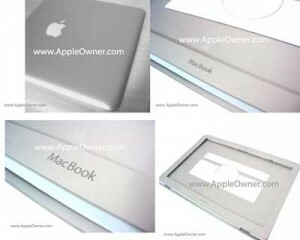 The new MacBook casing possibly revealed in photos and more than 2.4 Million 3G iPhones manufactured to date! Photos that could prove to be the new MacBook casing have surfaced and could Foxconn be manufacturing 800,000 iPhones a week?! This morning, according to a TechCrunch article, citing a source “close to Apple”; Apple has ordered Foxconn to build 800,000 iPhones per week. 800,000 is the full operating capacity at which Foxconn can manufacture, which brings up concerns of quality control as there already seems to be small casing issues with the some of the new plastic backings. After launching in 20 countries more than three weeks ago, with over one million iPhones sold in just the opening weekend, Foxconn could have theoretically built over 2.4 million iPhones since the 11th. Meanwhile, Chinese blog tw.apple.pro (which is experiencing high server load right now) has leaked four new images supposedly of the unreleased MacBook to Engadget. While the images appear very similar to the existing MacBook Air display, they could indeed be of a new MacBook since both laptops have a 13.3 inch widescreen display. Currently the legitimacy of these images are in question. Both the MacBook Pro and MacBook are rumored to see a revision around September. Stick with theiLife for developing news on both the iPhone 3G and MacBook revisions. 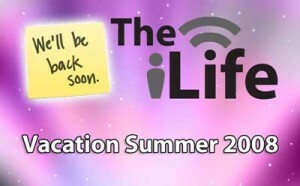 TheiLife Vacation Notice: We need Your Help! 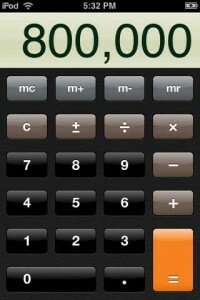 TheiLife crew will be taking a small vacation. But have no fear, the site won’t be left in despair. I am going on vacation this Saturday for two weeks. Then the day after I get back, I begin my first semester at college, so things might become a little dry around here. Don’t fear. I have arranged for content to be posted (about) everyday to keep things busy around here. Once my schedule stabilizes, I will be able to resume my regular content on a daily or bi-daily basis, depending on free time. I sincerely apologize for any inconvenience this may create, but it isn’t easy running a website (mostly) by myself. However, you can help! If you would like to create your own content for theiLife.com- articles, podcasts, screencasts, videos, pictures; we are very open and accepting to all kinds of work. Simply contact us or leave a comment below indicating your intrest, and we can get you setup posting about whatever you like.